On the occasion of the long holidays last weekend (2nd of Sep is Vietnam’s Independence Day), my travel group had another exciting motorbike road trip to the mountains. This time the route was quite mild and we also drove our Honda Wave much less than our previous two trips. It was only a total of 500 km (310 miles) in 3 days. And guess you have noticed how large the group was. 13 people! My personal record for the biggest travel group I’ve ever had. Ever! My road trip mate (I’m sure you can recognize her face in all of my road trip blogs up to now) introduced me to this group just a few days before setting off and it was pretty much like I traveled with people that I didn’t know at all. But of course we became good friends after. 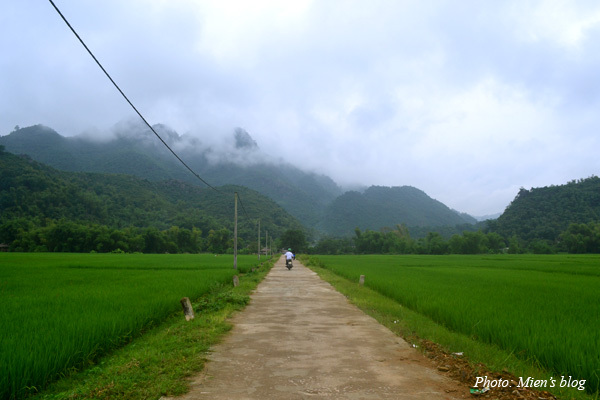 Moc Chau, about 200 km away from Hanoi, is a pretty little town in the northwest mountainous area of Vietnam. This town is a very popular tourist destination, especially in spring when peach blossoms in bloom. 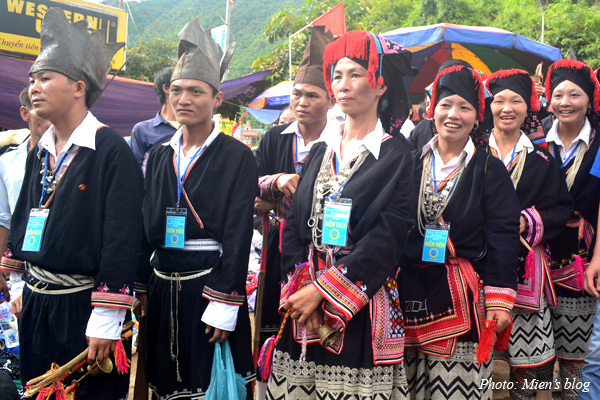 Moc Chau is famous for its beautiful flower fields, green tea plants, fresh milk, and the “love market” of H’Mong ethnic minority. I heard that the weather was terribly rainy in Hanoi during the holidays but we were lucky to have almost all dry days in the mountains, only a couple of hour rain in Moc Chau. However, there were not many flowers in Moc Chau during this time of the year, but it doesn’t mean the town is less beautiful. The first day was easy, we left Hanoi at around 7 in the morning and arrived in Moc Chau at roughly 2. After a good lunch, we checked in hotel, rested for half an hour and jumped on the bikes again to discover the “Dai Yem” waterfalls. 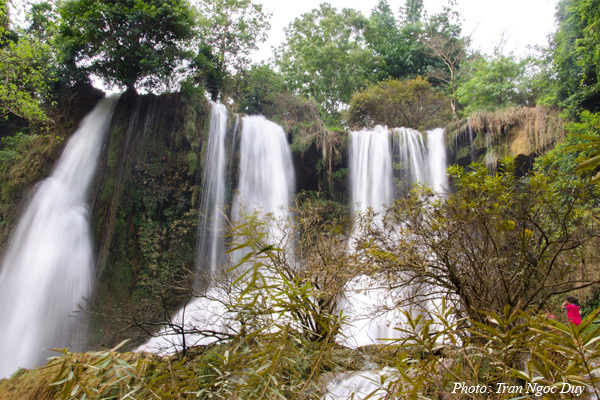 Nothing fancy about the waterfalls, definitely can’t be compared to Ban Gioc waterfalls in Cao Bang (and even Ban Gioc is not THAT gorgeous!). Thus, after spending about 15-20 minutes posing for a few tourist shots, we got on our way again and headed to the frontier area in the border with Laos. The scene on the way there was spectacular, pity we didn’t have much chance to stop since it was already getting dark. The only unlucky thing for me was that I caught a bad cold and sore throat after returning from the border. I rarely got sick while traveling, thus, this actually surprised me. 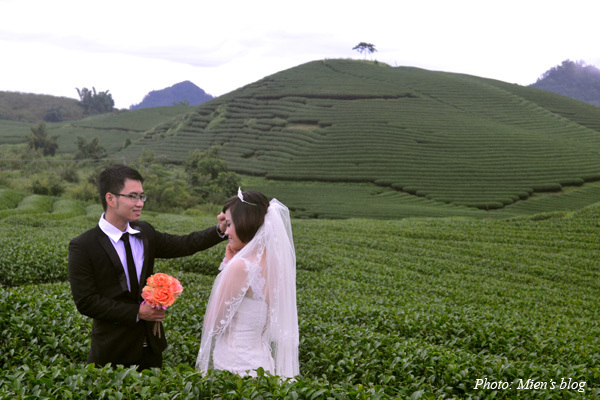 We drove to the green tea plants in the morning, about 12 km away from the main town. 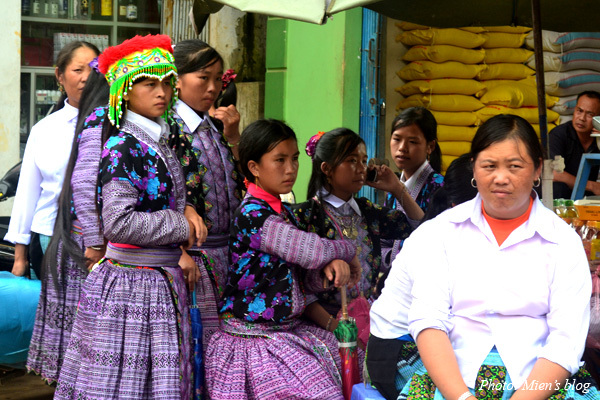 Then, we spent the whole afternoon wandering around the market buying souvenirs and watching people. The town became extremely packed since there was a celebration in the evening that day and we were super squeezed! Personally speaking, I’m not a fan of crowded places, thus, after experiencing this Moc Chau’s love market I can wholeheartedly say “I’ve ticked this, never again”. Here are a few photos from the town center in the afternoon. 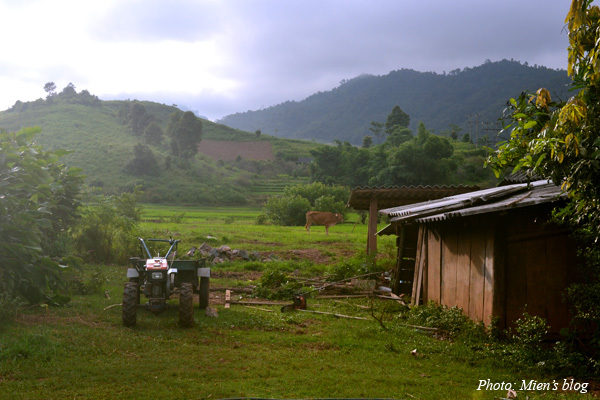 On the way back to Hanoi from Moc Chau we dropped into Mai Chau for a late morning coffee. 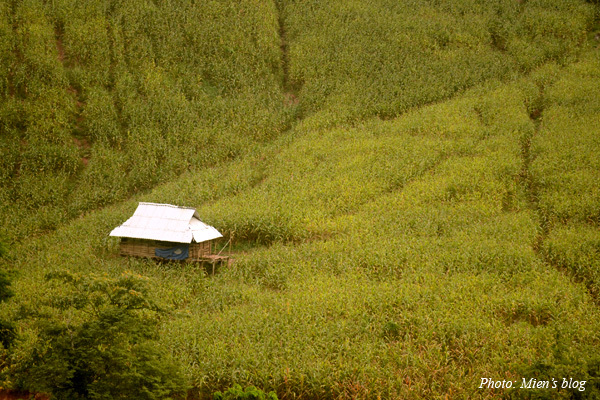 Mai Chau, a beautiful tiny town in Hoa Binh province, is another popular tourist attraction, about 130 km away from Hanoi. 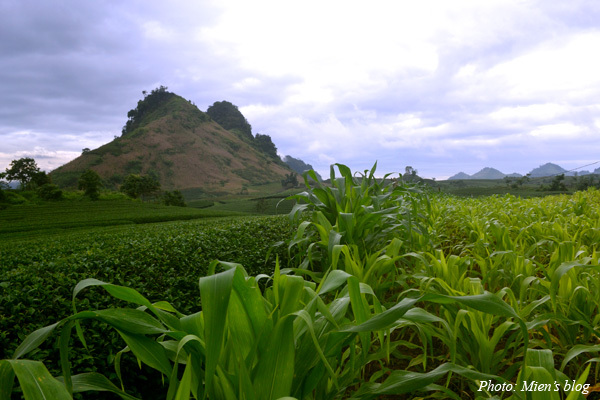 First timers to this town will totally be charmed by the lush scenery of the green-ever paddy fields, however, since all of us have been to Mai Chau before we got bored quite quickly and after finishing our coffee we headed to Hanoi immediately. We arrived in Hanoi quite early, around 5 pm. End of day 3 and also end of the trip. It was a pleasant trip after all (except for the unexpected cold), and even with a big group of 13 people we didn’t have much trouble. 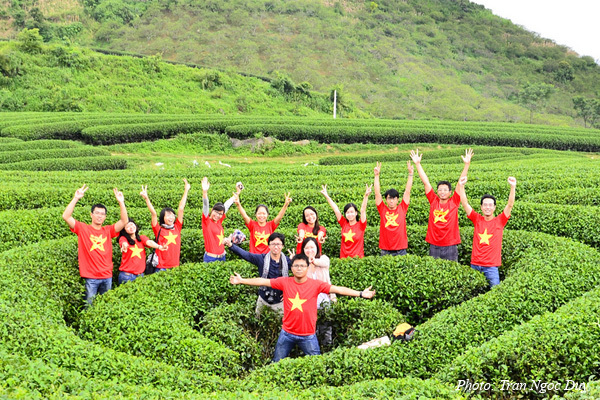 I actually think Vietnamese people do make better group travels than Westerners. Read my article on The Word Magazine where I compare the way Westerners and Vietnamese carry out their backpacking trips in Vietnam (this piece was edited quite heavily though, thus, I’m considering posting my original article with some extra opinions on here soon). 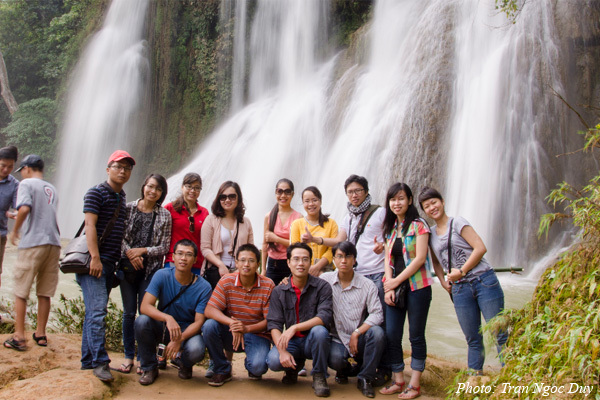 Thanks to my travel mate, Tran Ngoc Duy, for all the group photos used in this blog. 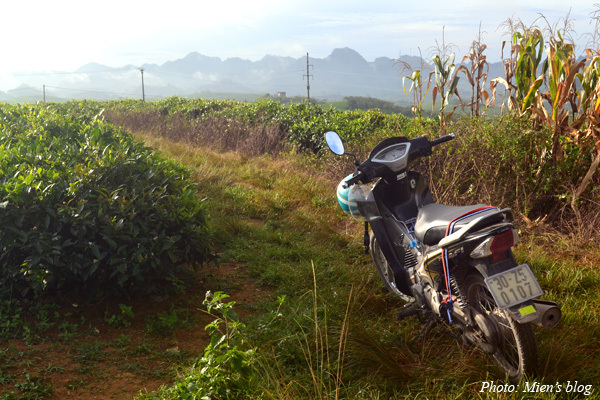 This entry was posted in Vietnam, Vietnam Travels and tagged Moc Chau, Motorbike, Mountain, Road Trip, Vietnam, Vietnam Travels. Beautiful photo, Miên! I love travel blog, you have been on hiatus for a bit though. 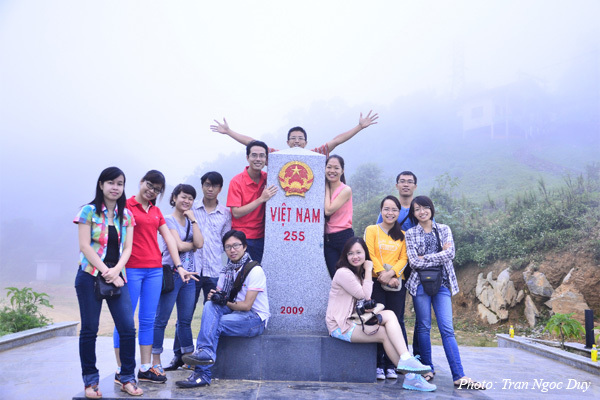 Traveling in group can be fun, here in US, we have done a few group hiking trip with the Vietnamese community around here, we try to keep it under 25. We loved reading this article, and my husband and I are on our two month honeymoon. We want to get up to the two towns you went to on this road trip and were wondering if you could tell us how much we should pay to rent a motorbike and the best/safest roads to take. If it is easier to email us, the email I provided goes to both of us. We loved your post — thanks for taking the time to write it! We hope to do the same trip. Thank you for passing by my blog! So I can see that you guys are spending these 2 months traveling across a few countries. Therefore, I suggest you guys go up to the town called Ha Giang, it’s one of the most beautiful parts of my country (my opinion and my others’ too). 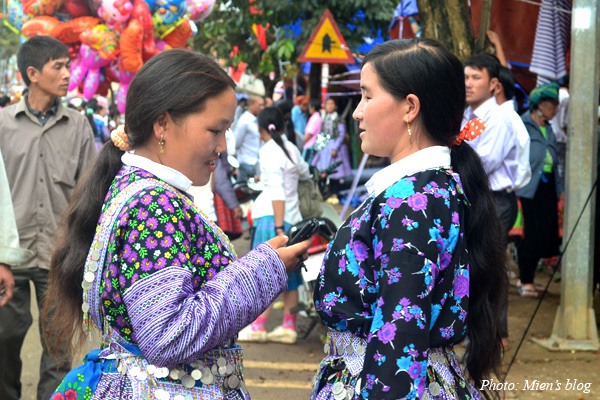 Here’s my blog on Ha Giang: https://phamhoangmien.wordpress.com/2015/02/01/2015-new-year-road-trip-hanoi-ha-giang-cao-bang/. Best way is to take a night bus to Ha Giang (there are lots of buses going to Ha Giang from My Dinh bus station, please ask your hotel reception to make sure). And then you can rent a motorbike from mostly any hotel there to drive around the mountain roads. 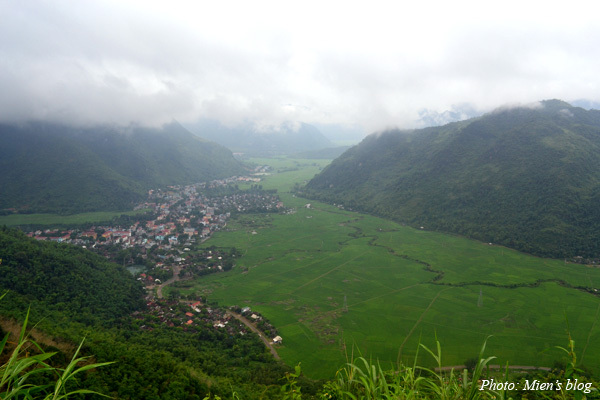 It will help you save time and effort coz the 300 km from Hanoi to Ha Giang is neither fun nor beautiful. You mentioned ban gioc is not that gorgeous. What is gorgeous in your opinion in Vietnam?